“This is great news and a huge positive for all of the team owners, for the sport as a whole and for our fans in what is an extremely exciting time for V8 Supercars. “I’ve seen the sport grow a lot over the past decade since I made my V8 debut in 1999. “It’s been quite incredible to see how things have changed since Rick and I were little tackers running around getting posters off Brocky, Skaifey, Glenn Seton and all those guys. “In my opinion it is a really good time to have the sale of a portion of the business. “The guys from Archer Capital that are taking this on are first-class people. They’re great to deal with and I think that they are well and truly capable of taking the sport to the next level, following on from the growth that we’ve seen as a result of people like Tony Cochrane and others on the V8 Supercars board. “Archer will put a lot more ‘fire power’ into the management of the sport. As a result I think you will see smarter decisions made in some areas and their fresh perspective on things will be a valuable contribution. “The end result of that will be good for everyone, especially the fans. V8 Supercars will be a stronger sport with better race meetings. 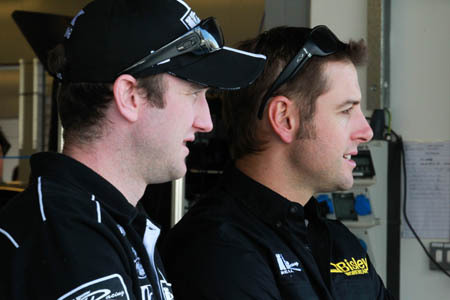 “Rick and I and everyone at Kelly Racing are really comfortable with the sale to Archer Capital. They are not going to go and tip the sport on its head and send us to ‘god knows where’ overseas to go and race for half the year. “They are extremely conscious of the Australian fans and that’s the first thing that everyone is going to concentrate on, making sure that we’ve got everything happening back here in our own backyard as best we can. “That’s what Rick and I want to hear from a new buyer as well. We need to be sensible about it. It’s not about sending us all over the place to have a short-term gain from getting paid to do that. “It’s more about making sure that the whole thing is set-up right for the next 10 years. “It’s good for the sport. Everyone should be proud that we’ve been able to get the sport to a point where it’s worth so much to sell. “There are not many sports, especially motorsports, that are as valuable as what V8 Supercars is today. That’s a pretty special thing. “To take it to the next level we’ve really got the perfect scenario now in that the new owners are not really going to tamper with it too much. “Hopefully Tony Cochrane will be around for a long time to come so that we’ve got a fair bit of power and clout in there with him as well as from the fresh people coming in to help push the sport along. “You really couldn’t ask for a better situation. “Three of the key people from Archer took the time to visit Kelly Racing recently and we sat down in our boardroom for three hours discussing their plans for the future and our views on the sport as a team.